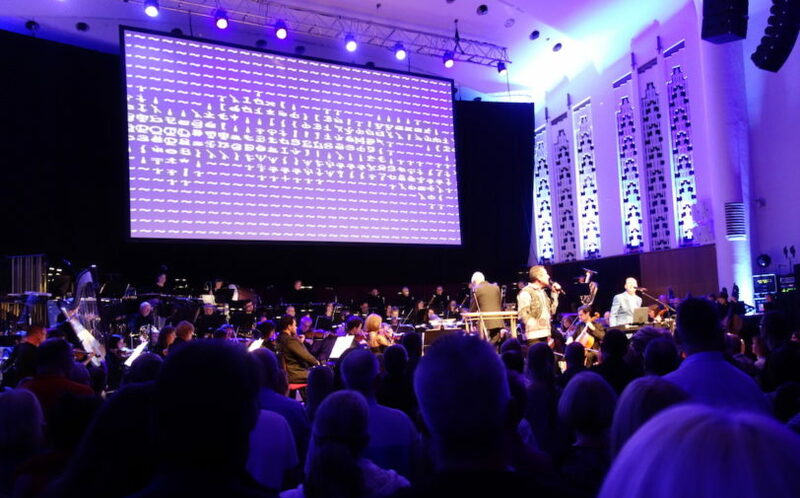 When OMD first collaborated with the Royal Liverpool Philharmonic Orchestra back in 2009, you would be forgiven for thinking the project sounded unfeasible. 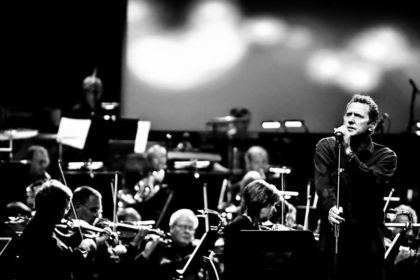 For a band that’s carved an impressive career utilising electronic music, the idea of arranging that music with an orchestra seems at odds with the concept of OMD (although the band had touched on the idea 3 years prior for the Night Of The Proms performances). But although Paul Humphreys and Andy McCluskey have always been very forthcoming about their lack of traditional music training, the results speak for themselves. Outside of the hit singles that have made the band a household name, their albums managed to make a deeper impression through more thoughtful compositions. The likes of ‘Stanlow’ and ‘Sealand’ presented evidence of a talent for arrangement and inventive musical ability. Even hastily constructed B-side tracks such as ’66 & Fading’ (essentially the chords to ‘Silent Running’ slowed down and reversed) have a majesty that suggests it would be perfectly at home performed by an orchestra. 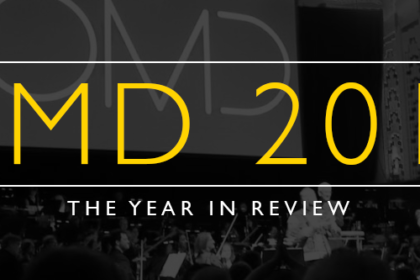 The 2009 performance offered a combination that presented two sides of OMD. That included a section dedicated to hit singles and more obscure numbers but contrasted with an orchestral rendition of The Energy Suite, the installation art piece that married the collective talents of OMD, Hambi Haralambous and Peter Saville. While some of the arrangements were more effective than others, the collaboration proved successful enough to convince the band to revisit the concept. 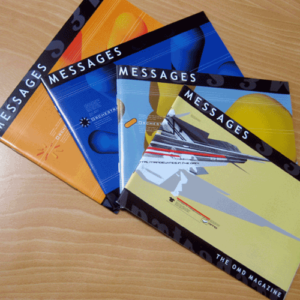 As Andy McCluskey discussed in an interview with Messages back in 2013: “…the RLPO definitely want to work with us again and we definitely want to work with them”. Unfortunately, that plan took several years longer to come together than anticipated. 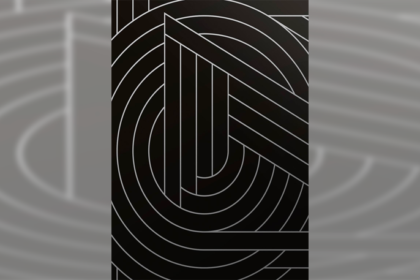 But with OMD’s 40th anniversary looming, the idea seemed impossible to put to the side any longer. While the temptation to just do a re-tread of the 2009 performance would no doubt be forgiven by an appreciative audience, OMD instead opted for something a little more interesting. The set was divided into two segments as before, but with the first half of the set presenting some of the more unlikely contenders for orchestral arrangement. The second half would be dedicated to more familiar numbers (although many of the arrangements have been given more of a polish since the original 2009 outing). 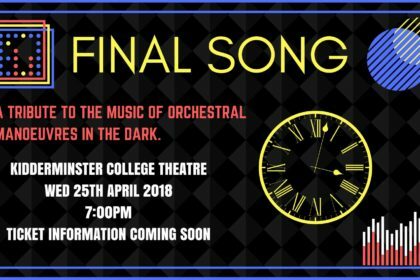 While the choice of ‘Stanlow’ to open the performance might seem a little unusual by OMD standards (it was traditionally the song that OMD concerts closed with), there’s something suitably majestic about the composition that lends itself equally to acting as an overture of sorts. Stunning drone footage of the oil refinery from which the song takes its name is projected behind the orchestra. Meanwhile, Andy McCluskey and Paul Humphreys appear composed and thoughtful as the opening bars unfold. The composition seems to take on a hymnal quality with a judicious use of strings before building to a busy collage of sound. A huge round of applause erupts as the familiar rhythmic pumping brings the arrangement to a close. “All the hits are in the second half” Andy offers dryly. ‘Statues’ follows next, a song that’s always had a strong gothic feel to it. 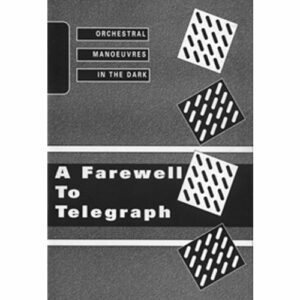 With lyrics that were partly inspired by the passing of Joy Division’s Ian Curtis, this Organisation cut had a specific electronic feel to it in its original incarnation, which perhaps makes it an unusual choice for an orchestra. Here, however, the song sounds more organic and it retains that unusual, understated power that it delivered back in 1980. OMD’s return to a collaboration with the RLPO also means that the band can focus on their last album The Punishment Of Luxury. But rather than simply focus on the most obvious choices, they elect for the cinematic ‘Ghost Star’, which was one of the 2017’s album’s best moments. Here, the haunting cry of the curlews from the original is present and correct, but the orchestral arrangement gives the song a shimmering aspect and a mesmerising quality. Sporadic wind instrument fanfares act like clarion calls throughout the performance. With the screen showing images of ice formations, Andy takes on an animated persona as the song builds. The emotional delivery of the vocals makes it clear that this is a song that has a deep, personal meeting for the singer. As the song reaches its climax, a sudden gesture from Andy silences the orchestra leaving an eerie silence around the space of the Philharmonic Hall. Meanwhile, there’s a stately rendition of ‘Sealand’ also on offer. The composition lends itself quite easily to an orchestral arrangement with sweeping strings taking up the heavy lifting. Its sober percussion gives the whole affair a thoughtful aspect and it remains one of OMD’s finest long-form works. One of the other surprises for this performance was yet another B-side choice. In this case, ‘The Avenue’ which was one of the songs to emerge during the early Junk Culture sessions (and which was a definite holdover from OMD’s pre-Junk Culture sound). The train-like rhythms are replicated here with a mournful, brooding quality. Here, there’s a warmth to this number that seems at odds with images of bleak desolation peppering the screen. The song’s impressive crescendo gives the old B-side a visceral quality, which demonstrates again that even on B-sides, OMD have always had some serious song writing chops. Tonight also sees the debut of a brand new OMD composition. 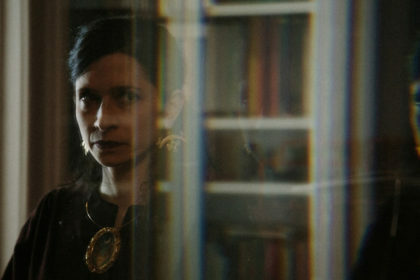 ‘The Daughter Of The Minotaur’ was a piece that the band composed for the film Female Human Animal (which was also unveiled earlier this month). Andy joins Paul by the keyboards during this performance, which is marked by some unsettling abstract images on the screen. 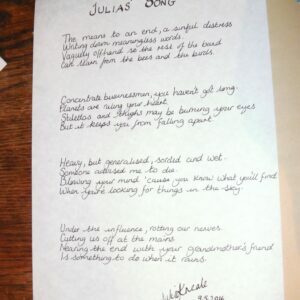 The slow, ponderous build of the song which is ramped up with a steady use of driving strings, has an oddly primal quality to it. Adding to the chaotic feel of the number, the aisles of the Philharmonic Hall are stalked by performance artist Filippos Tsitsopoulos, who specialises in unusual and often disturbing mask collages. “Is that the first time you’ve let me on your keyboards since VCLXI?” suggests Andy to Paul at the songs climax. “This is from Punishment Of Luxury” comments Andy on the next song, “but we didn’t play it on the tour”. ‘The View From Here’ is another song that seems to benefit from its orchestral makeover. Again, Andy’s vocals on the performance take on an emotional weight that’s surprisingly effective at the front of a powerful 75-piece orchestra. With the song’s ending, so too does the first half of OMD’s performance reach its climax. It’s a time to reflect, but also a time to check out the merchandise on offer for this special performance. 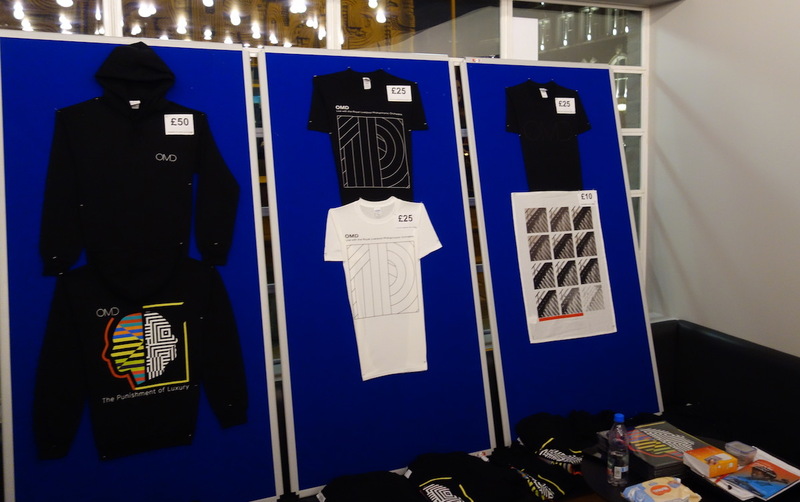 In this case, an impressive tour programme, dedicated T-shirts and also copies of the live album which will be generated at the completion of tonight’s performance. This interval is very brief and finally Andy and Paul bound back on stage for the second segment. “I changed my shirt” comments Andy, sporting a more visually arresting shirt. “This is going to be an altogether looser set”. 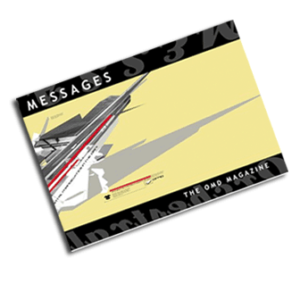 To prove the point, things kick off with ‘Messages’ which remains one of the OMD classics. Here, the arrangement sounds much tighter than the 2009 performance and much more percussive. Equally, ‘Joan Of Arc’ has an enchanting quality with its crystal melodies rendered in a much more organic way. “Let’s get louder” suggests Andy as ‘Maid Of Orleans’ follows on in traditional style. Although Andy is curiously static for the opening bars of the classic composition, he throws in a few of his dance moves as things pick up (albeit in a much more restrained manner). ‘All That Glitters’ has a poignant wind instrument intro with some subtle strings also in the mix. This Sugar Tax-era tune remains an impressively powerful number, something given a vital quality here by Andy’s heartfelt vocals and some martial drum fills. Andy and Paul swap places as they revisit The Punishment Of Luxury with Paul taking on vocal duties for ‘What Have We Done’. Abstract images fill the screen as the orchestra throw in little motifs and trills, giving the piece a light and airy quality. There’re a few expected musical guests also thrown into the mix, with a playful ‘Talking Loud And Clear’ (“How many of you guys were here 9 years ago when I cocked up the words then?”) and a brassy ‘Walking On The Milky Way’. Astute eyes would by now have spotted Martin Cooper and Stu Kershaw in the audience – with Stu enthusiastically bopping away at this point. One of the songs that stood out at the 2009 concert was an impressive arrangement of ‘The Native Daughters Of The Golden West’. It’s unsurprising that the cinematic power of this song should be revisited here in 2018. Images of sprawling prairies and frontier folk fill the screen and Andy and Paul deliver an emotional punch with some engaging harmonics on the chorus. Andy’s ability to hold the final note for what seems like a freakishly long-time prompts a round of enthusiastic cheers and clapping from the crowd (“I’ve been dreading that note for 9 months!”). ‘Enola Gay’ was another song that sounded slightly odd in its 2009 orchestral arrangement. Here, with its signature melody picked out in brass, it sounds much more powerful and dynamic. The audience (by now all on their feet) join in with some dramatic clapping to accompany the tune. Although Paul and Andy file off stage at the conclusion, it’s entirely predictable that they’re going to return for the one song that has to be played. 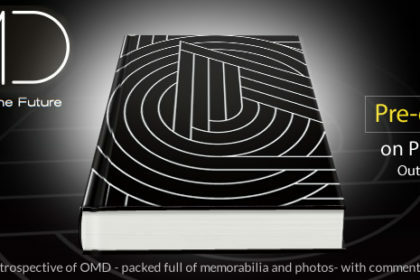 Commenting on the fact that the following week will see the 40th Anniversary of OMD’s first live outing at Eric’s Club, Andy also adds “But this song was written two and half years before that performance…” There’s always been a strange quality to ‘Electricity’ that lends it a timeless appeal. Although it remains an electropop classic, it still has the power to shine through even in this orchestral arrangement. It marks the culmination of the energy expressed in the venue tonight, although things aren’t quite over. Suggesting “Something beautiful to go home with”, the stately bars of ‘The Romance Of The Telescope’ open as the audience replicate the handclaps that traditionally herald the Architecture & Morality classic. Again, it’s a composition that works well with an orchestra and gives the song a strange, otherworldly presence. As abstract star field images grace the screen, the lyrics take on a suitable poignancy (“Over decades, now this romance/Has sustained us all”) and the OMD and RLPO performance comes to a suitably fitting end. Although tonight’s concert seems an impressively smooth process from start to finish, the work involved in creating it has been staggering. Andy and Paul worked closely with Ian Stephens and Gary Carpenter (who worked with the pair for the 2009 concert) in arranging the songs and although the pair seemed confident on stage, they later confided that they were “terrified” at some points. Equally, conductor Richard Balcombe did a sterling job of keeping everything on track. Inevitably, there will be voices who would have preferred other choices in the setlist for this weekend’s shows. Rumours of a return of ‘Red Frame/White Light’ were, sadly, not to come true (which would have been a timely thing bearing in mind the impressive return to glory of the legendary phone box). But with 40 years of songs to choose from, the decisions on which ones to select must have been incredibly tough. The balance between hit songs, long-form compositions and more obscure B-sides/album tracks is, on reflection, an impressive one. 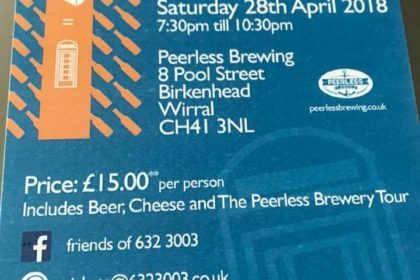 It’s staggering to consider that an experimental electronic outfit from The Wirral could go on to score so many hits – let alone still be active some 40 years later. 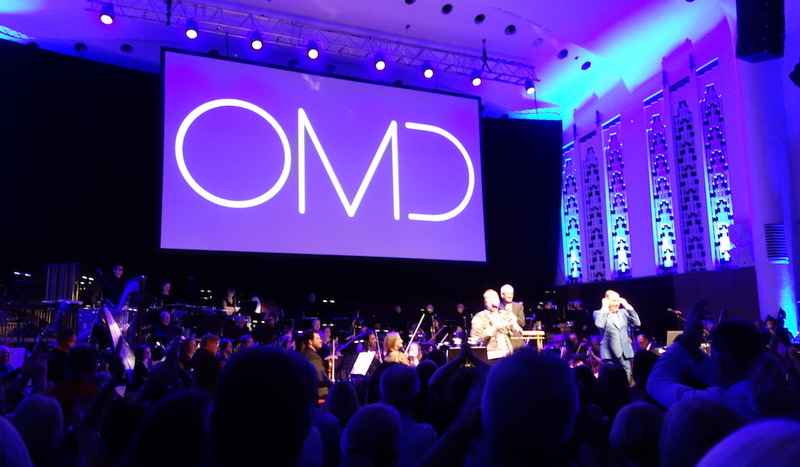 But OMD’s position as a pioneering electropop band is a worthy one and this weekend’s performances in Liverpool seem to be a fitting way of celebrating that anniversary.